Since the hilarious news broke that Melky Cabrera set up a fake website selling a phony supplement that he hoped would fool MLB into thinking he unknowingly ingested synthetic testosterone, I’ve been dying to find out the name of his fake site and product. Unfortunately, neither has been identified in any reports I can find so I’m forced to speculate. Since the ridiculous plot reportedly unraveled very quickly upon MLB’s initial scrutiny, I have a feeling the names are ludicrously bad. 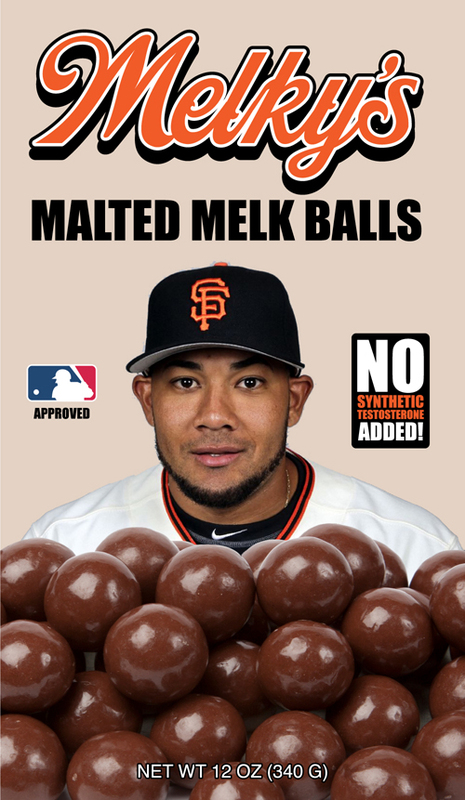 Melky’s Malted Melk Balls is one I came up with. That begs the question, would he be stupid enough to put his own name and face on it? I think we all know the answer to that. Send us your ideas on what his fictitious website and supplement could be – we’d love to hear them! Next Next post: Ricketts makes good on World Series promise!